Stylish scrubs might seem like an oxymoron, but you can make your medical uniform look trendy and even flattering with the right approach. Here are seven tips to keep in mind as you shop for scrubs and get dressed for work. The first step to good-looking scrubs is making sure they fit right, and the first step to making sure they fit right is taking your measurements (bust or chest, waist, hips and inseam). Use these measurements to refer to each brand’s size charts, as cuts and sizes vary between brands and collections. Once you know your measurements, you’ll also need to determine whether you’re regular, petite or plus size. Many brands also offer different fits to suit different preferences, such as missy, junior, unisex and athletic. 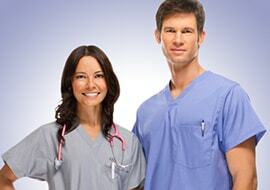 For more information on choosing the best fit for scrubs, check out our ultimate guide. 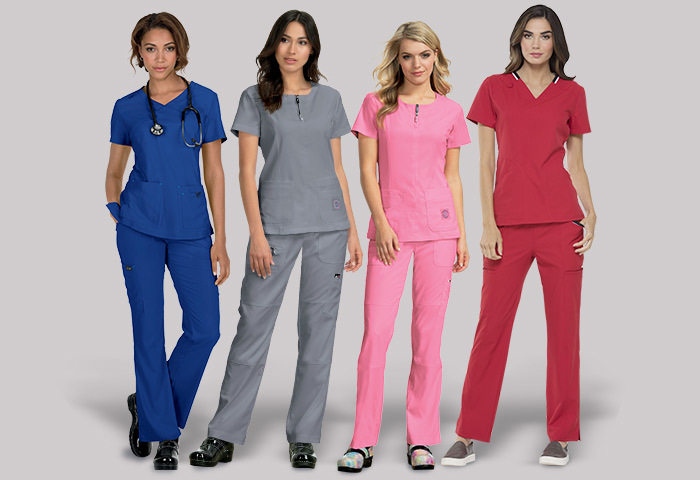 You can select the right size and fit, but if the scrubs are poorly constructed out of flimsy or rough fabric, they will won’t look flattering when you put them on–period. Look for sturdy yet flexible fabric that will move with you and follow your frame. Also make sure that seams, pockets and other features lie flat, as these can stick out weirdly and detract from your look. Pick colors that work for you. No one looks good in every color of the rainbow, so it’s important to know which ones flatter your skin and hair as you search for stylish scrubs. Many facilities have a color code. If you don’t, use your natural skin tone to determine the best colors to wear. If you have a warm complexion, your skin has a greenish or a yellowish undertone, and colors such as orange, red, yellow, olive green, turquoise and magenta look good on you. If you have a cool complexion, your skin has a bluish undertone, and colors such as bright blue, emerald, deep purple, ruby red and bright pink look good on you. And of course, it’s hard for anyone to go wrong with neutrals such white, cream, gray, black, tan and brown. Mix and match colors and prints. Once you know what colors flatter your complexion, you can start experimenting with new combinations. Monochromatic outfits make your frame look longer and slimmer, especially if it’s a dark color, but sometimes this can get a little boring. To shake up your style, pair a top and a bottom in two different colors that go together, such as navy and coral or ruby and deep purple. If you want to add even more variety to your look, explore the thousands of printed scrub tops out there. A single pair of solid bottoms can be transformed into dozens of completely different outfits with a new printed scrub top. Once you’ve decided on the perfect size, fit and color of your scrubs, you can further spruce them up with custom embroidery and emblems. Text may be stitched on one, two or three lines stacked on top of each other, and many nurses choose to get their name, unit and hospital embroidered on their scrubs. Emblems are small icons or graphics that can be stitched alone or above text, and they are usually classic symbols of various medical specialties. Keep in mind the colors of your text or emblem when embroidering printed scrubs to make sure they show up. Your style doesn’t have to stop at the scrubs themselves. 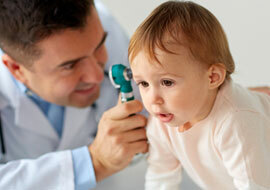 Warm-up jackets, long sleeve undershirts and even lab coats can all contribute to your look. The same rules apply to choosing the perfect layer: know your size and fit, look for good quality construction, pick colors that flatter your complexion and mix your colors and prints wisely. 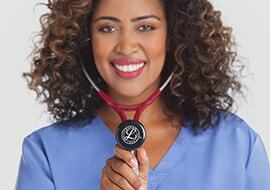 Jackets, coats and shirts can also be personalized with embroidery and emblems in addition to the scrubs. Once you’ve got your outfit put together, you can add some further flair to your uniform with accessories. Even though facilities often do have restrictions on jewelry and other items that pose a choking hazard, there are still plenty of other approved accessories to explore. Stethoscope charms, compression socks, nursing shoes and clogs, badge holders, wristwatches and even pins can all complement your stylish scrubs and add some subtle design touches to your outfit. 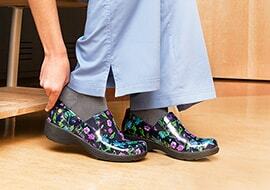 If you feel frumpy and unfashionable in your medical uniforms, don’t give up! From different cuts to printed tops to new accessories, there is always something new you can try to spruce up your look. Stylish scrubs can be a reality if you keep these seven steps in mind.